This Meadow Valley private mountain house is on nearly Three acres that has creek frontage year round (the creek will put you to sleep) and the Plumas National Forest. There are many trails leaving from the property into the forest. Bring your horses, because there is over an acre fenced for them. Storing the boat or horse trailer during your stay is not a problem. There are many top-notch lakes (7 miles to Bucks Lake) for boating, fishing, beautiful golf courses (45 minutes to Graeagle - 4 world class golf courses) hunting, or any type of recreation minutes away. This unique private estate, is tucked off the main road (Bucks Lake Hwy) in a park-like setting of beautiful trees and openness - offering visitors privacy and seclusion not found in many properties. We had a wonderful time.. Cabin very nice and comfortable. Loved sound of stream behind house. Will definitely be back .. Very comfortable house. Would love to spend more time to enjoy the natural beauty of this place. Very clean, comfortable and a beautiful setting. Lovely well kept mountain home near Quincy. We have stayed here many times and the home is always perfect. There’s a lovely little stream out back, quite soothing to fall asleep to. Quincy’s a small mountain town with everything you need —food restaurants and markets. Close proximity to great boating, swimming, hiking and golf. 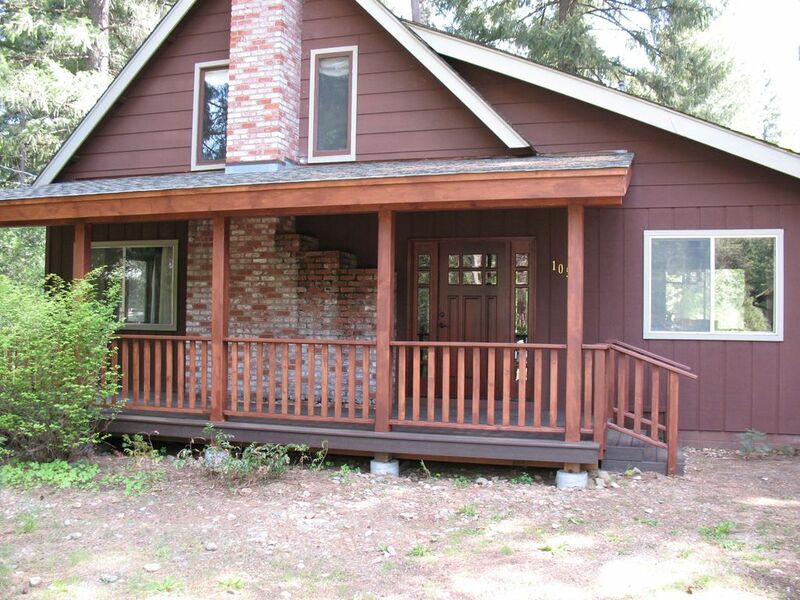 Great size cabin for the family and very well maintained. Also a great location if you want to go to the lake or head into town. Will stay again. What a perfect retreat for a family to relax. Very private, quiet, and the creek behind the house made it a perfect setting. The house was super clean and had warm cozy decor of rustic, Victorian and old English cottage feel with the antiques. The fireplace was the biggest hit for us all, was wonderful after hunting all day to come home to that crackling warm fire. The neighbors were very friendly. Rene we can't praise enough about. He was amazing to work with, always there when you had a question, very kind and obliging. Thank you Rene we had an awesome family time. Scott, Lisa, Shannon, Cole, Devin, Alyson, Julia, Mickey Blue Eyes, Pumpkin, Cyrus, Tiger Lily.